Escaping the murderous rampage of the Nazis in and of itself would make a thrilling tale, but for former United States Secretary of State Madeleine Albright, this was merely the beginning of her life story. Born Marie Jana Korbelová in 1937 in Czechoslovakia, Albright’s family hastily fled to London where they survived the blitz before emigrating to the United States, which Albright said she cherished for the democracy she lacked in her home country. The event, sponsored by the UC Santa Barbara’s Arts & Lectures series, invited Albright to speak about her experience as Secretary of State and her take on foreign policy, among other things. Albright explained that her father faced roadblocks seeking political asylum in the U.S. during the McCarthy Era, as he had to explain that the government he once worked under was openly communist. This extreme governmental scrutiny delayed a young Albright’s path to citizenship until the summer between her sophomore and junior years at Wellesley College. Albright expressed the importance of written immigration policy –– an issue that currently divides the executive and legislative branches in a record-breaking government shutdown. “We could be more generous in our laws…We have a lot of room [in the country],” she said to a room of thunderous applause. She expressed support and empathy for those supported by the Development, Relief and Education for Alien Minors Act (DREAMers), noting that the bartering of their livelihoods are a “particularly sad aspect” of the immigration crisis. “We have a policy toward refugees that would make the Statue of Liberty weep,” she said during the speech. Albright also praised UC Santa Barbara for being one of the first universities to offer a Global Studies major. Though she expressed her concerns for the current state of American foreign policy –– and emphasized that the rest of the world would not wait for the United States to get its act together –– she remained optimistic that students at the university would learn to think beyond stereotypes and borders. Albright praised students who opted to study abroad or those whose majors contain an emphasis on the relationship between culture and ethics. A common theme in Albright’s talk was a sense of prevailing hope for the future. Citing a round-table discussion earlier in the day with members of the UCSB Letters & Science Honors Program, she spoke with delight about the ferocity of the students she had conversed with. She cited weakness at the core of the political system, not only with the downfall of the American presidency, but with the disastrous Brexit deal as well. The fall of democracy, she claimed, allows fascism to creep its way back into the public eye. “As the world’s democracies dither, [nationalist movements] scale the ramparts,” she said, referencing rising totalitarian states like Russia, Syria, Azerbaijan and Hungary. The issue with globalization, she said, is that it is faceless. She views technology as a more difficult issue to unpack, as she believes it has caused much beneficial change, but also noted that it has put so many skilled laborers out of work. Social media combines these two factors, and in the hands of demagogues, becomes a tool of unwieldy fascism, Albright said. She claims social media “allows demagogues to build bonfires” out of hatred, and with the technological advancements of a worldwide platform, the spread of fascism has become that much simpler. When asked by moderator Jeff Greenfield how she explains the behavior of President Trump to foreigners, Albright became visibly restrained. Yet, Albright wholeheartedly encouraged people to run for office and to engage in dialogues across the aisle. She referenced her morning commute to Georgetown University, driving through the streets of Washington, D.C. as she listens to right wing radio. Though it may cause her to, as she puts it, “pose a certain risk to pedestrians,” she also said it was beneficial for her bipartisan philosophy to gain a deeper understanding of both sides of the aisle. There were approximately a 100 people in attendance; some, such as UCSB second-year political science and global studies double major Alex Young, were impressed with Albright’s visit to the Granada. However, Young said he was disappointed that she showed restraint when speaking about current political affairs. Third-year global studies and French double major Emma Wiley was one of the few honors students present during Albright’s roundtable discussion earlier in the day with UCSB students. She agreed that Albright was far more restrained during her prepared remarks. “You can tell that she genuinely feels passion for the United States,” Wiley added. “The fact that she has written a book about resisting fascism is incredibly ironic because she paved the way for the rise of fascism in this country and in many other countries that the United States supported during her time in office,” Prathik Raghu, one of the organizers of the protest, said. Hannah Jackson is an asst. 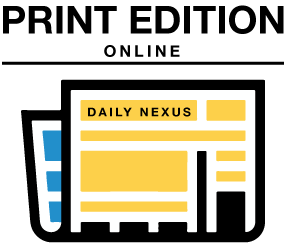 opinion editor at the Daily Nexus and can be reached at opinion@dailynexus.com. 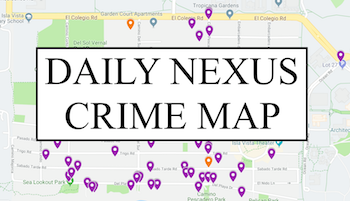 A version of this article appeared on p. 4 of the Jan. 24, 2019 print edition of the Daily Nexus. Hannah serves as the Co-Opinion Editor and was previously Social Media Manager. She is a dancer, an avid napper and has killed every succulent she ever owned.